One of the leading importers of wholesale fabrics in the United States. With over 20 years of experience; we supply quality textiles for the swimwear, athletic wear, dancewear and high performance active wear markets. We provide a diverse selection of solids and prints along with customized sourcing and modifications to our in-house fabrics to match texture, content and color to fit your specific needs. 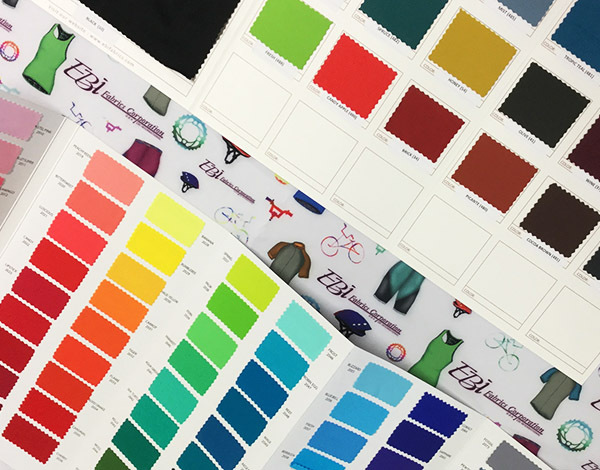 By the pool or on the beach, EBI has all your swimwear fabric needs covered. Surf through our solid, lining and print options today. Sweat it out with EBI’s selection of high performance textiles. Moisture wicking, durable water repellant, compression and more! Stand out on and off stage with our collection of dancewear fabrics. Explore EBI’s movement textiles in a range of shimmer, shine and matte varieties. Looking for the perfect legging fabric? You came to the right place! Browse our curated selection of yoga textiles here.